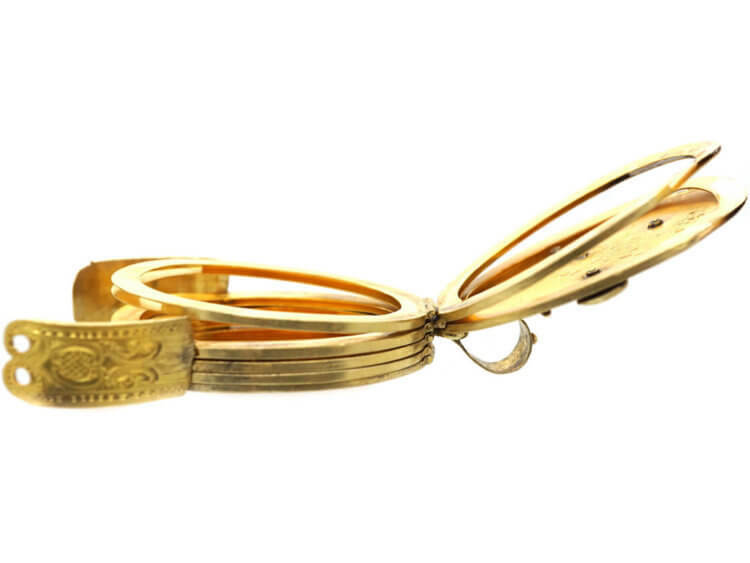 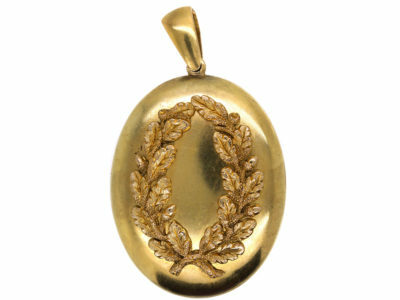 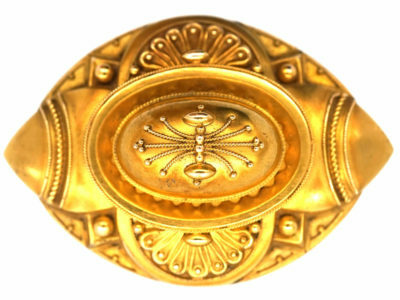 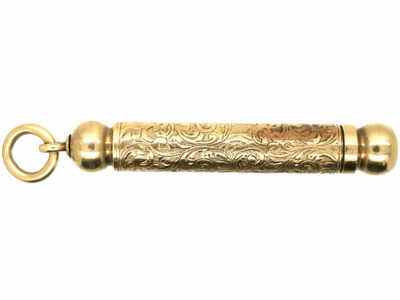 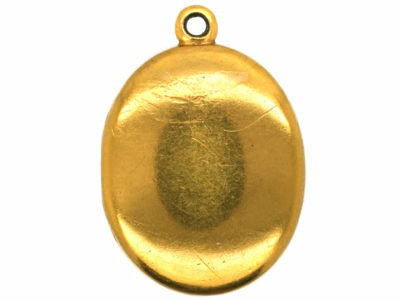 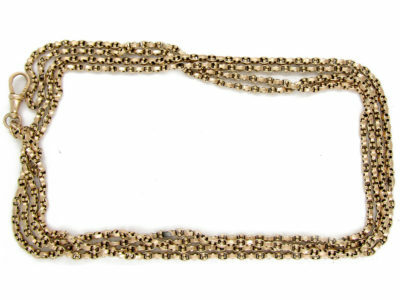 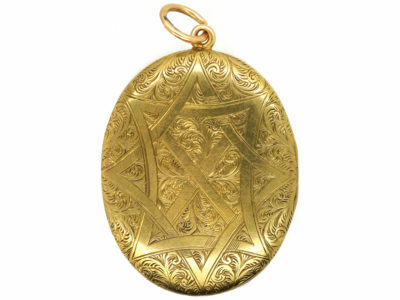 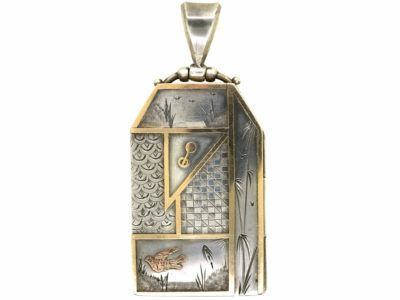 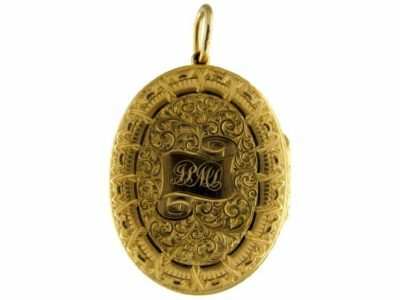 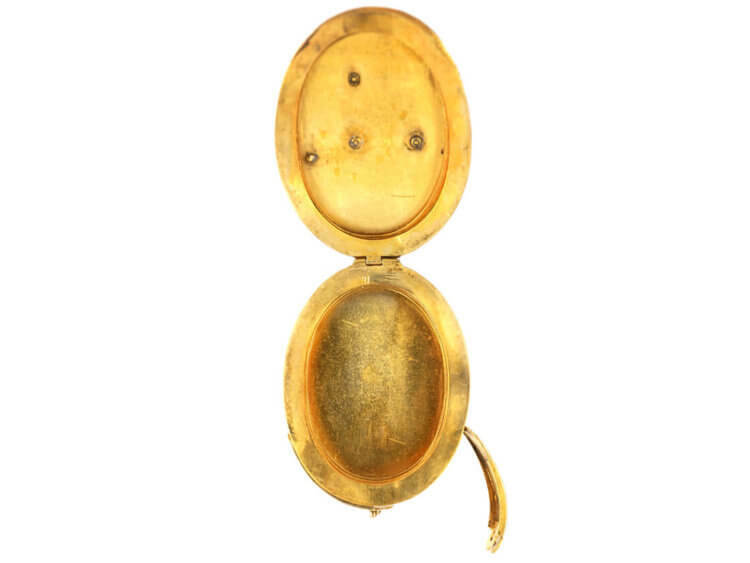 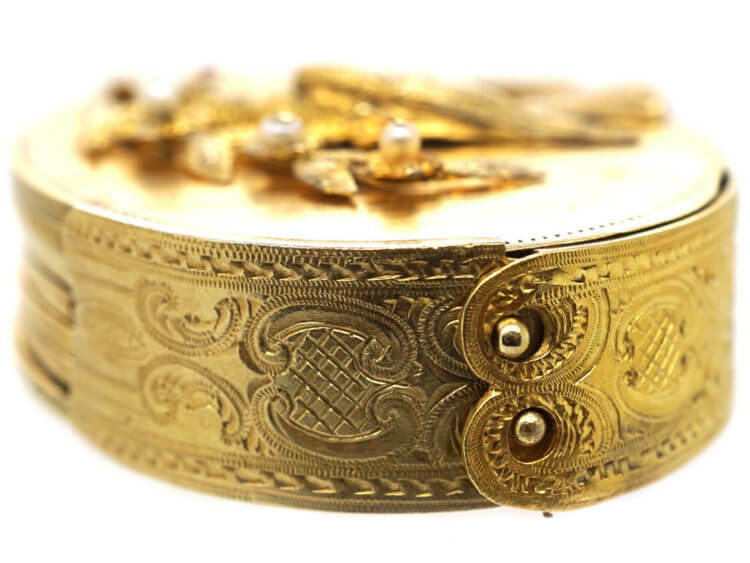 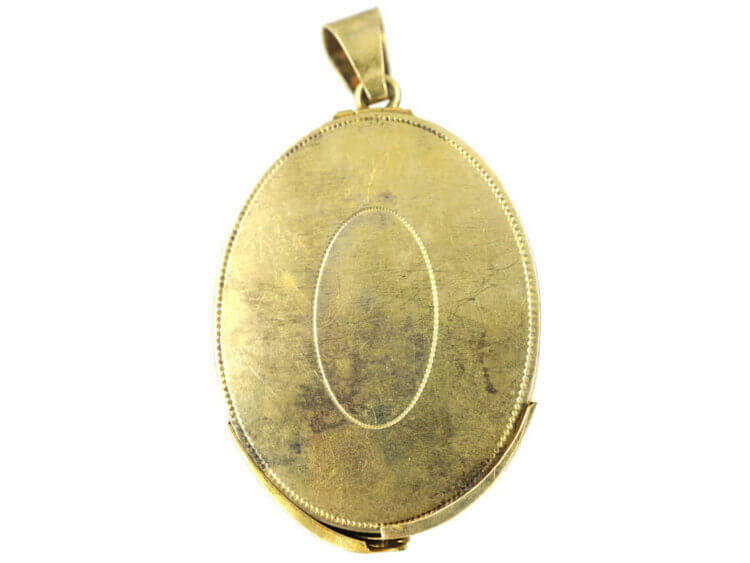 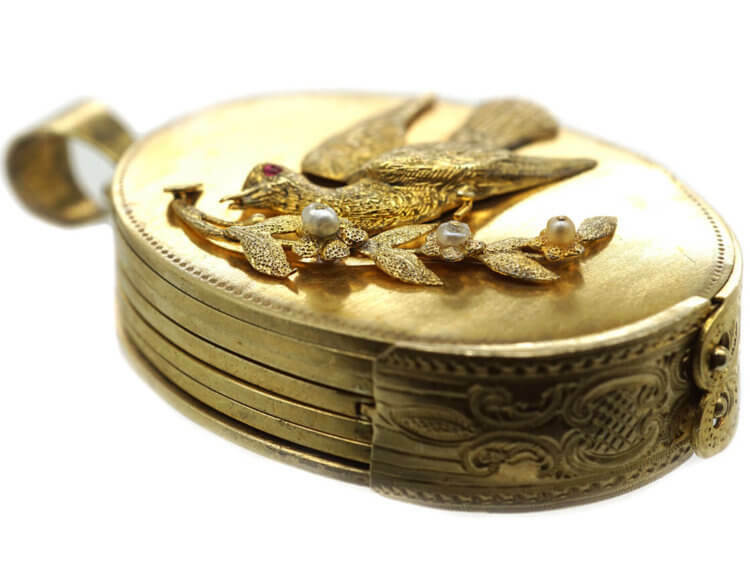 A very unusual 15ct gold locket that opens to reveal seven compartments that can hold twelve photographs in total. On the front is a dove of peace. 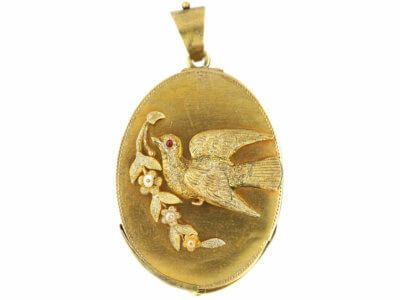 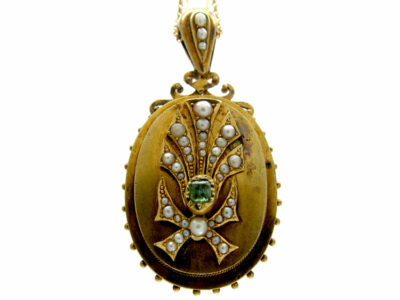 The dove has a small cabochon ruby in it’s eye and the olive branch is set with three natural pearls. 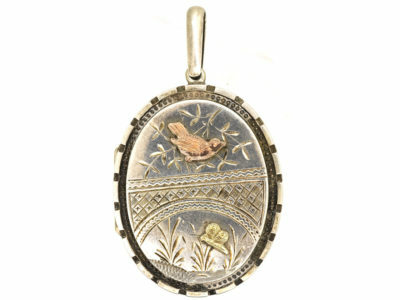 The use of a dove and olive branch as a symbol of peace originated with the early Christians, who portrayed the act of baptism accompanied by a dove holding an olive branch in its beak. 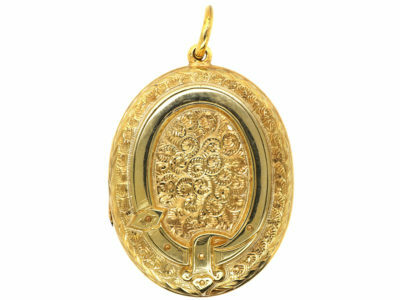 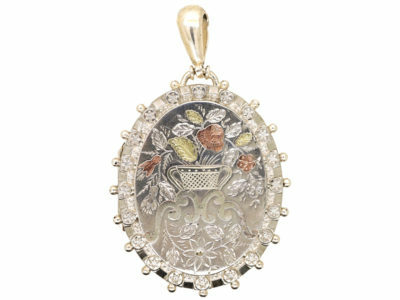 So what a wonderful meaning and this locket would be ideal for holding photographs of your children.